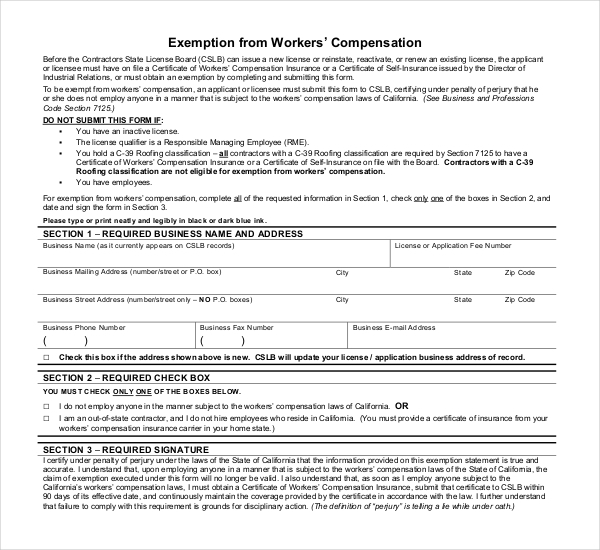 This form complies with the workers’ compensation laws in the State of California. When you fill this form, you are agreeing that you will stick to the employee compensation rules according to what the employment law states. 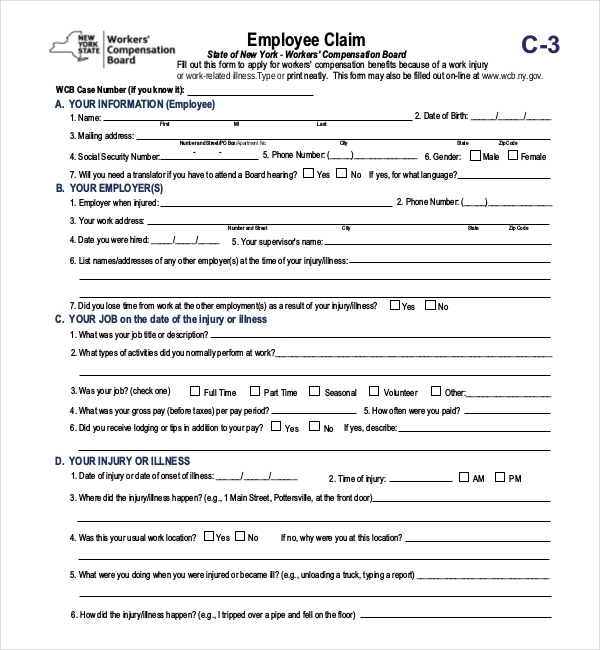 Although a form this detailed might be quite tough to fill, providing the required information is proof that you are serious about the welfare of the workers. The law requires that employers take good care of their workers; that includes providing protection and security for people working at the company. 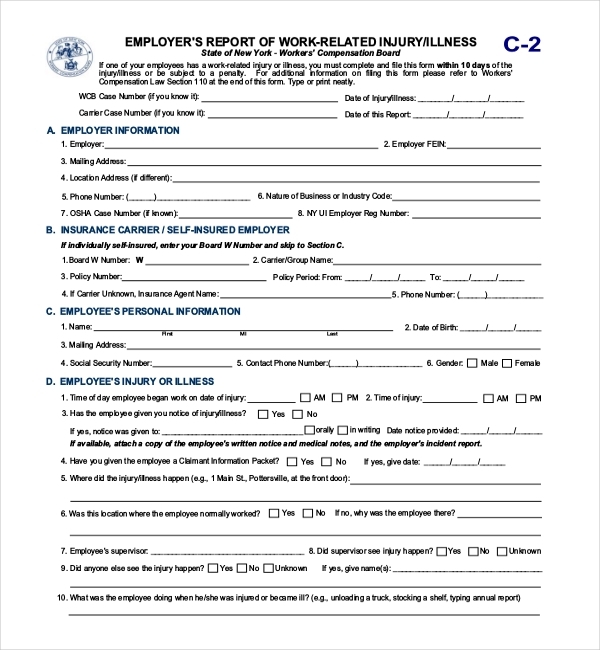 By filling this form, you agree that you will consider the rights of employees who have been through the experience of work related injuries and diseased. As an employer, you assume that such things as diseases ad work related injuries will be your responsibility. Employees need to understand that worker’s compensation laws are set in place by the government, and not a single law is worth ignorant. By filing this form, you agree to respect the values, laws and system benefits provided by the law to the employees. It is your responsibility, as an employer, to compensate workers for occupational diseases and work related injuries. 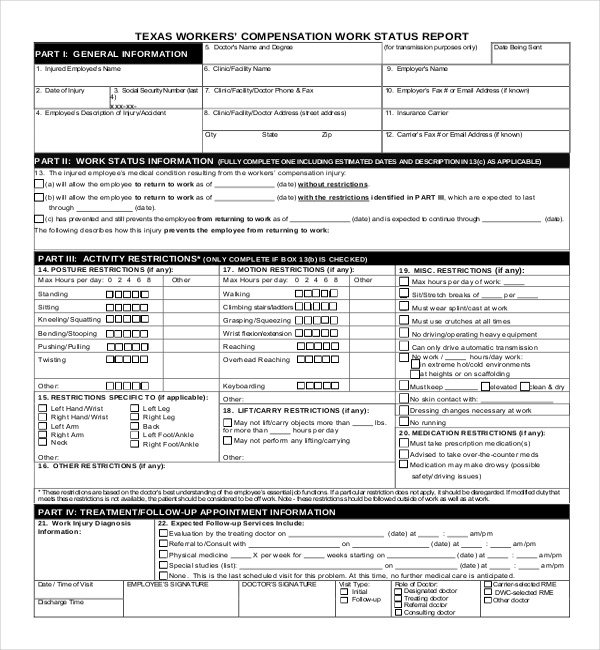 The workers compensation form helps to eliminate any potential worker compensation dispute between employers and employees. According to the employment act, employers must compensate workers for work related injuries and occupation illness. The administrative court system does not entertain any default on Workers Act, which means that filling the form is necessary. The purpose of this template is to help employers sign agreements to compensate sick or injured employees according to the Workers’ Compensation Act. Workers do the best job when they are sure that they have protection. To enhance productivity and personal growth, compensations are almost always necessary. The form is free to download, and you must fill it accurately. Download the template for free. Because accidents arise out of and in the course of an employment deserve compensation, The Workers’ Compensation Act requires that employers fill and agree with the terms of the compensation form and compensation act. Before filing and signing this form, you need to understand that you will have to pay the benefits of the compensation regardless of the faults. 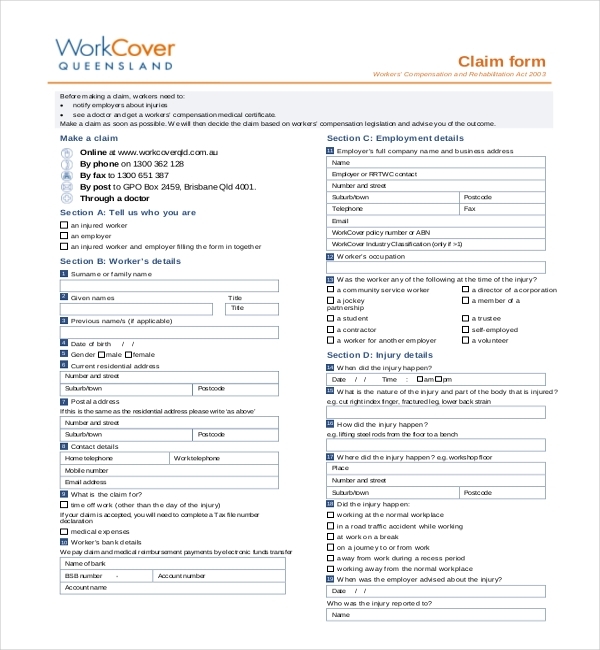 By filling this form, you agree that you will compensate employee for any medical injuries caused to their health because of working for and in your company. Also, you agree that you will cater for the total disability expenses of the worker – this is money paid when an employee is off work because of the occupational injuries. Further, you agree that you will motivate the employee by providing them maintenance injuries compensations. 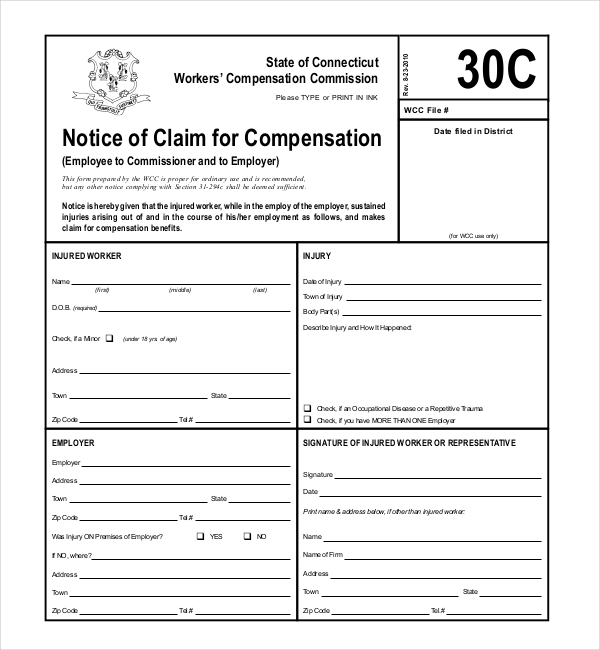 Many people are often not sure about compensation forms. The law requires that, as an employer, you fill workers compensation form to act as an emblem that you are willing and able to assume responsibilities for the cost of workers’ compensation benefits. Employees do not fill this form, because they are not the ones who own the workplace in question. Many employers fail to understand the consequences of failing to fill workers compensation forms. The tricky part is that is that it could land you behind bars without notice. In other words, there are severe consequences of failing to fill and follow the rules of the Workers’ Compensation Act. By filling the form, you will be putting your company in the right spot. The content of Worker Compensation Acts is often delicate, and, therefore, employers need to make sure they fill this form after careful examination of the Acts. 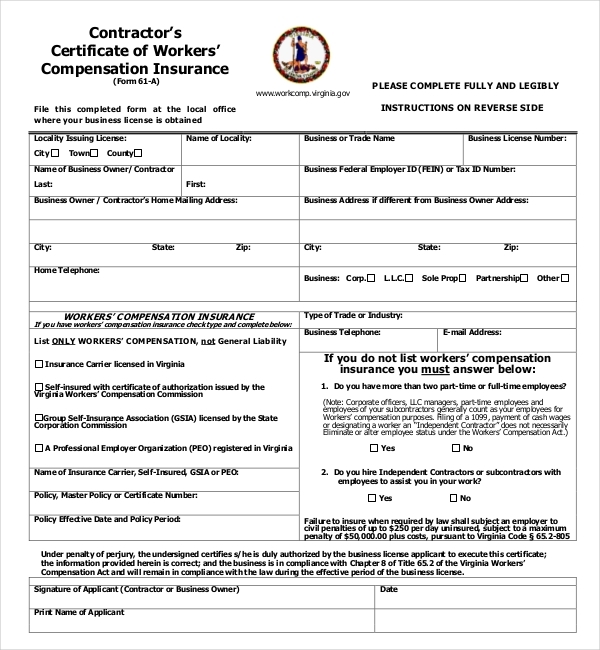 By filling this form, you agree that you will bear all the financial burdens for workers’ compensation. As an employer, the law requires you to not only remunerate your workers well, but also you have to offer then protection from occupational diseases and work injuries. It is important to note that no matter the size of your business, you must agree to the terms and conditions of Workers’ Compensation Acts in Texas as long as you have employees working with you. 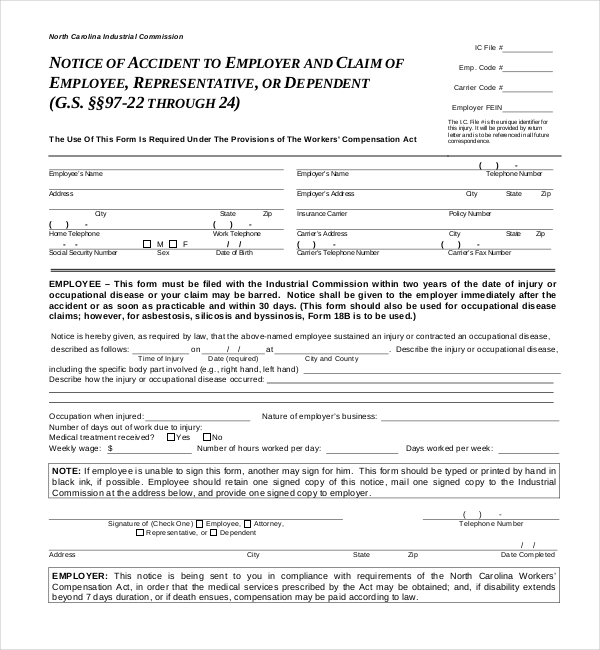 By signing this form, you agree that you are fully responsive for the cost of worker’s compensation, that you are willing to respect the worker’s compensation system of benefits in place. 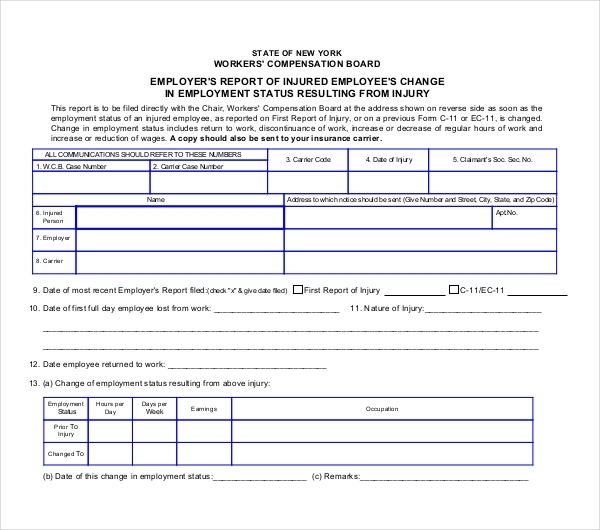 You need to fill the form in compliance with Workers’ Compensation Act. The form is a little more delicate; spend more time studying the content before filling and signing it. 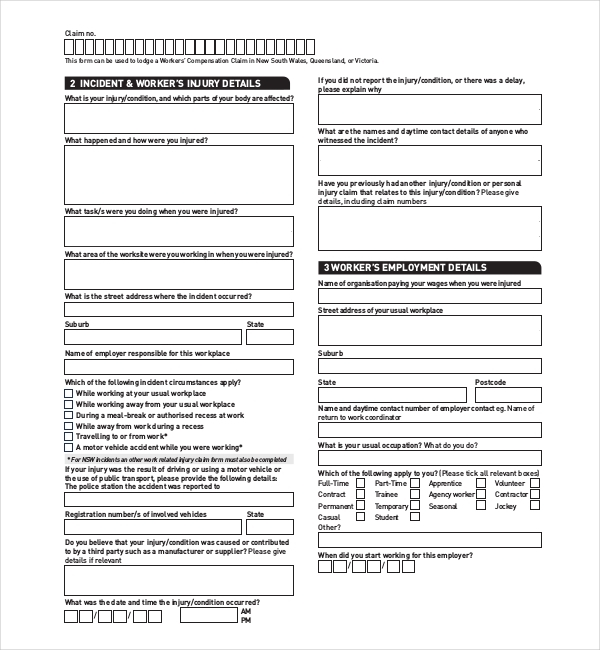 Allow a worker to have a copy of the form.